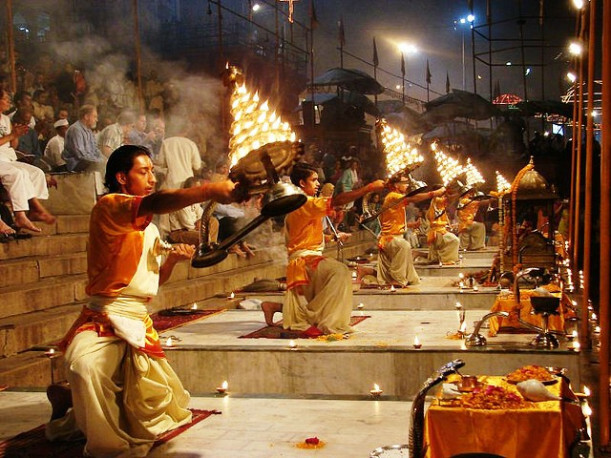 If you are in search of plethora of sacredness then Varanasi is the appropriate spot for you. Not just from India but tourists visit this land of spirituality from different corners of the world. The city is indeed the paradise for the religious souls. You can find the influence of Holiness in every bit of the city. If you have never visited Varanasi then you should not skip a chance to spend some time amidst abundance of spirituality. You can get your rooms booked in hotel Varanasi and spend a cherished and comfortable time in this oldest city of the world. No wonder, the city has always kept its fans enticed. Let us walk through some of the stunning religious spots of this city! The temple is located in the premises of Banaras Hindu University. The temple was built by the well-known Birla family and henceforth is also known as Birla Temple. Actually, it is a temple complex that containsseven temples. Talking about the temples, the Shiva temple is mapped on the ground floor, while Durga temple and Lakshmi Narayan temple are situated on the first floor. The beautiful architecture of the temple is encouraged by the old Vishwanath Temple. The structure of this temple is made of white marbles. All the walls of the temple are festooned with the text of holy Gita. It always catches the attention of the visitors. Kashi Vishwanath Temple is the most vital spot to witness in Varanasi. The splendid history of this blessed shrine can be traced back to thirty five hundred years. This temple is one of the twelfth Jyotirlingas which are believed to be the holiest Shiva temples. The Linga is the ruling deity here and this temple is quadrangle, enclosed by temples of various other gods. This temple once possessed a golden spire and domes; henceforth it was also known as the Golden Temple. This mosque is well-known for its stunning architecture and desirable location. The mosque is located on the edge of River Ganga and relishes an attractive scene. It is believed to be constructed by Mughal Emperor Aurangzeb. This mosque is a fine piece of architecture. Not just the Muslims but people belonging to different religions visit this mosque. Bharat Mata Temple is one of its kinds because instead of being devoted to any god or goddess, the shrine is devoted to Bharat Mata. This temple is located in Mahatma Gandhi Kashi Vidyapeeth Campus. It was inaugurated by Mahatma Gandhi in the year 1936. The temple was an inspiration for the ones who were fighting the war of independence. This statue in the shrine signifies plain, mountain and ocean. The main highlight of this temple is the relief map of India which is beautifully carved on a marble. Thus, get your reservation done in resort Varanasi and carry out a grand tour in Varanasi. The spirituality of this land can fill you with aliveness, gusto and wisdom. Once you are here, you won’t regret it at all!